Do you want to see the sky touching apex of Mt. Everest in just few minutes? 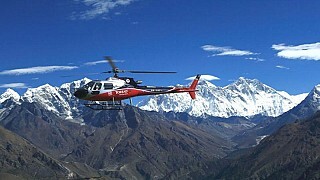 If yes, then Everest Helicopter Tours is an incredible journey to fly over the towering pinnacles of mountains in Everest region of Nepal. Start your journey from the Kathmandu airport and fly towards the Khumbu region of Nepal. In an hour you will able to fulfill your quest to be over the highest mountain of the world – Mt. Everest. The pristine air, wild landscape and pinnacles of snow clad mountains all around, Everest Helicopter tour is truly a magical experience. The three hours of magical moments will take you close to the cold and quaint mountains like Mt. Everest, Mt. Amadablam, Mt. Lhotse, Mt. Nuptse, Mt. Cho Oyu and many more. The monasteries in Tengboche, Syangboche airport and many other attractions in Khumbu region can be assessed easily without any hectic walks or worries of altitude sickness. 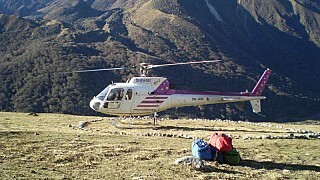 Take a luxurious flight and unleash the raw appeal of the mountains. The Khumbu glacier and Gokyo lakes, everything will look like a dream. The azure blue lakes embedded in the white land of snow, nothing could be more tantalizing. So, fly over the Everest region of Nepal to get a bird’s view of glaciers, passes, high altitude lakes, mountains and wild landscape. 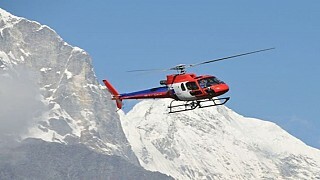 Nepal Hiking Team offers Everest Helicopter Tours to cater your lust for outstanding beauty and wilderness of mountains in a luxurious way and in the shortest time possible!